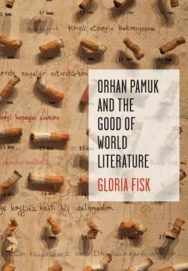 In Orhan Pamuk and the Good of World Literature, Gloria Fisk offers a case study of the oeuvre and persona of Turkish writer Orhan Pamuk. 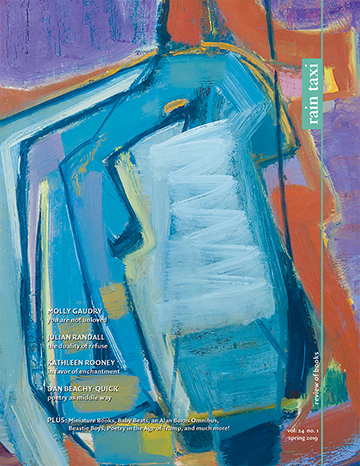 Because he is a representative figure with general applications to the profession of creative writing in a global context, she uses the occasion to issue a challenge to U.S.-based literary critics, whose pretensions to neutrality compromise their theoretical positions on literature while qualifying them for positions at universities. Descended from a family of nineteenth-century industrialists, the Orhan Pamuk of Orhan Pamuk and the Good of World Literature is the freelancer son of lapsed aristocrats who laments the fallen state of his hometown of Istanbul while taking in its scenic ruins, to the resentment of his fellow Turks. He plays into the narratives of nationalists, who call him a tool of Western interests and cast his acknowledgment of the Armenian genocide as a cynical ploy calculated to gain the favor of the Western establishment. Pamuk won the Nobel Prize in 2006 and fled Turkey with a security detail when his life was threatened; in the West, he found himself increasingly called upon to opine on political topics. Although he maintains he is a spokesman only for art and artists, the subversive episodes of his fiction—particularly his 2002 novel Snow, the focus of Fisk’s analysis—continue to escape the notice of Western readers, as commentators decline to emphasize them in favor of those aspects that might be termed faux reportage, fiction written in journalese, bringing news of an orientalist Turkey to the Western armchair traveler and assuaging her anxieties about the East. In Fisk’s view, critics of world literature reinforce these conditions by creating an intellectual climate for their acceptance. Following Erich Auerbach—author of Mimesis, a founding text of the discipline of Comparative Literature—scholars cultivate a spiritual homelessness intended to endow their work with a purity it does not possess. These scholars write as if without a context of their own, and thereby conceal and secure their complicity in Western hegemonic doctrines, which demand acquiescence as a condition not only of participation but even of survival—white supremacy, misogyny, homophobia and transphobia, neoliberal global capital—and they do this because the U.S. university requires its academics to use the polluted rhetorics of these absurd logics if they want to advance their careers. In a prescriptive conclusion, Fisk suggests that comparatists jettison the fantasy that their marginal privilege makes them exiles, and replace it with an ambition to see their investment in the status quo for what it is—and then trace its effects on their scholarship, even as they carry out their analyses. This book is absolutely modern, and that quality defines its scope. Fisk construes for Pamuk an implied reader who reads books according to the status that these commodities will confer upon her in an economy of leisure pursuits. This ideal reader has learned from mainstream channels how to evaluate the “conversion factor” of a work of fiction; she consumes titles recommended to her and rehearses the mental moves and conversation gambits scripted for her by social media, blogs, podcasts, public radio commentators, and print and web magazines. The premise of the structural complicity of academics with oppression is an excellent feature of Fisk’s text, but it does not constitute a departure from convention, and neither do her arguments. A critique of her critique—and a worthwhile project for the scholar herself to undertake, perhaps—might commence, instead, with the consideration of a reader antithetical to the one whose whims Orhan Pamuk and the Good of World Literature takes so seriously: an obsessive, a devotee of literature—whether “world” or otherwise—for the pleasure of it, in the largest sense, someone whose imagination is therefore saturated with literary culture, a person as anachronistic and outré as the implied reader of this book is au courant and hypernormal. How, it might be worthwhile to discover, does this kind of literary citizen read a novel?